Need an Apostille or consular legalization quickly? The country of destination determines whether the authentication is an Apostille or Certification. Necesita Apostillar un documento? Nosotros ofrecemos un servicio rapido, muchas veces el mismo dia. Una vez apostillado el documento lo mandamos por correo a su direccion, a su embajada, consulado o su pais. ¿Qué es una apostilla? Un sello especial que estampa una autoridad para certificar que un documento es una copia verdadera de un original. Las apostillas están disponibles en los países que firmaron el Convenio de la Haya sobre la Eliminación del Requisito de la Legalización de Documentos Públicos Extranjeros, popularmente conocido como el Convenio de La Haya. Este convenio, creado en 1961, es un sistema mas sencillo que el proceso de certificación anterior. ¿Dónde puedo conseguir una apostilla? Cada país participante en el Convenio de La Haya designa a una autoridad en su territorio que puede emitir apostillas. Por ejemplo, en EE.UU., es la oficina del secretario del estado. En la práctica, debería ponerse en contacto con un notario para conseguir una apostilla. Tenga en cuenta que quizás algunos notarios no estén familiarizados con este procedimiento y pueden proponerle un equivalente que conozcan mejor. Si no lleva el término "APOSTILLA" en grande, no sirve. Además, no tiene que explicar por qué necesita una apostilla cuando trate con el notario, dígale sólo lo que necesita. Terminos comunes: los apostillados // las apostillas //apostillemos. Apostillar un documento es colocar un sello, por el cual es válido internacionalmente por acogerse al Convenio sobre documentos notariales de La Haya. La Apostilla de la Haya elimina el requisito de legalización diplomática y consular de los documentos públicos que se originen en un país del Convenio y que se pretendan utilizar en otro. Se habla espanol, italiano, ingles. Since October 15, 1981, the United States has been part of the 1961 Hague Convention abolishing the Requirement of Legalization for Foreign Public Documents (Only). The Convention provides for the simplified certification of public (including notarized) documents to be used in countries that have joined the convention. Documents destined for use in participating countries and their territories should be certified by one of the officials in the jurisdiction in which the document has been executed. Said official must have been designated as competent to issue certifications by "Apostille" (usually in the office of the State Secretary of State of his/her counterpart) as provided for by the 1961 Hague Convention. With this certification by the Hague Convention Apostille, the document is entitled to recognition in the country of intended use, and no certification by the U.S. Department of State, Authentications Office or legalization by the embassy or consulate is required. An Apostille is an authentication of a notary or government official's signature used by countries who are parties to the Hague Convention. Countries may require either an Apostille or a Certification from the Secretary of State's Office for birth, death &/or marriage certificates. The country of destination determines whether the accepted authentication is an Apostille or Certification. A birth certificate or death certificate which is prepared to give to a foreign country is called an apostille. The Lieutenant governor services as Secretary of State for the State of Hawaii. As Secretary of State, the Lieutenant Governor provides authentication services for all public and general documents that are used overseas. Public Documents include: powers of attorney, marriage certificates, birth certificates, divorce decrees, probated wills, judgments or other documents generated by a legally formed government agency. General Documents include powers of attorney, agreements, by-laws, transcripts, unrecorded conveyance documents, un-probated wills or legal declarations. The Hague Treaty was established at a convention held in 1961 at Hague, located in the Netherlands. This Treaty abolished the requirement of legalization of foreign public documents. The convention provides for the simplified certification of public documents to be used in countries that have joined the convention, by use of a special form called an Apostille. Effective October 16, 1981 the United States recognized the Hague Treaty. The determination of whether an Apostille or Certification is issued depends upon which country the documents are bound for. If that country recognizes The Hague Treaty, then an Apostille will be issued. If the country does not recognize the Hague Treaty, a Certification will be issued. The following link is a list of countries that recognize the Hague Treaty. New York. Apostilles are a form of certification of a document originating in one country for use in another. A document issued in one country may not be recognized in another country as a result of differences in language, certification, and legal effect of the document without proper certification, an apostille. An apostille (a French word meaning certification) is an international certification comparable to a notarization in New York law. Utah. An authentication or legalization, sometimes called an apostille, is needed for documents that you plan to use in a foreign country. Idaho. An apostille is a form of certification set out in the 1961 Hague Convention, to which the United States is a subscriber. It is a form of numbered fields, which allow data to be understood by the receiving country regardless of the language used by the issuing country. The Hague Convention defines the purpose of an apostille as to "abolish the requirement of diplomatic or consular legalisation for foreign public documents." identifies the seal/stamp which the document bears. Indiana. Apostille is a French word meaning footnote, and it’s an additional form of authentication given to a notarized document to certify that the document is a true copy of the original. So while it does certify that the form is an exact copy of the original, it does not certify that the content is accurate. Below is a partial list of documents that can be given an apostille. Only those countries who participate in the Hague Convention of 5 October 1961 Abolishing the Requirement of Legalization for Foreign Public Documents can participate in the service. The Office of the Secretary of State provides apostille and authentication service to U.S. citizens and foreign nationals for documents that will be used overseas. The Office of the Registrar sends the documents to the Indiana Secretary of State who, in turn, sends the apostille documents to the country of intended use. Michigan. The intended destination of a document determines the required type of certification. An Apostille is issued for documents intended for use only in foreign countries that are party to the Hague Treaty. A Certificate of Authority is issued for all other countries, many of which will only accept documents certified at both the state and federal levels. The original document must be signed in front of a notary public and must contain original signatures. As a reminder, a notary public cannot make a true copy statement in the State of Michigan. Minnesota. Authentication is the process of verifying a county official, a state official, or a notary public from the State of Minnesota that certifies or notarizes a document. International officials often require document authentication to prove that the document is genuine and acceptable in another country. Examples of documents submitted for authentication include: birth certificates, adoption papers, marriage licenses, corporate documents, school transcript records and trademarks. Apostille and Exemplified copies of vital records are routinely required for foreign use. The Apostille and Exemplified copies consist of an Alabama birth, death, marriage, or divorce certificate signed by the State Registrar and an additional certification signed by the Alabama Secretary of State. Certain restrictions apply to Apostille and Exemplified copies of birth and death certificates. By Alabama law, birth certificates are confidential records with restricted access for 125 years from the date of birth. Death certificates are confidential records with restricted access for 25 years from the date of death. The Secretary of State issues apostilles (certificates of notarization authenticity) on documents going to a foreign country and also authenticates public documents going to foreign countries under A.R.S. § 41-326. An apostille from the Arizona Secretary of State's Office certifies an Arizona notary or State Clerk. must be a certified copy issued by that government office. Colorado. An authentication or legalization, sometimes called an apostille, is needed for documents that you plan to use in a foreign country. Beginning August 1, 2013, Nevada will adopt the Model Apostille Certificate of the Hague Conference on Private International Law. The new Nevada Apostille is modeled on the trilingual model certificate published by the Hague Conference and will be processed according to the national Uniform Apostille Standards. The new certificate will have noticeable changes in its appearance. No longer will there be a handwritten countersignature or an embossed foil Silver Seal. All certificates will be printed in black and white with a black non-embossed Nevada State Seal. The only signature on the Nevada certificate will be the signature of the Secretary of State and will be printed from an official signature on file with this office. New Mexico. The Office of the Secretary of State is the only office in New Mexico authorized to issue a certification, or apostille, for a notarized document going to a foreign country. This office also issues certifications and apostilles for other public documents issued by government agencies, including those issued by County Clerks and the New Mexico State Registrar of Vital Records. Apostilles are accepted by those countries that are members of the Hague Conference of October 1961 on Private International Law (Convention #12). A listing of the member countries of the Hague Conference (Convention #12) is available at the Hague Conference's website or by contacting our office. La oficina de la Secretaria de Estado es la única oficina en Nuevo Mexico que está autorizada para expedir certificaciones de Apostillas para algún documento notarizado en el Estado que vaya a ser presentado o utilizado en otro país. La oficina también expide certificaciones o apostillas emitidos por los escribanos de los condados (County Clerks) y por la oficina de Registro Civil (State Registration of Vital Records). Los documentos con las apostillas son aceptados por los países que son parte de la Convención de la Haya y la lista está disponible en la página de internet del Departamento de Estado de los Estados Unidos (U. S. State Department’s website) o estableciendo contacto con nuestra oficina. La Apostilla es un documento certificado anexo al documento original notarizado o al documento registrado que esté certificado (copia certificada). En el caso de los documentos notarizados, mediante la apostilla se verifica que la persona que notarize el documento está autorizada para ejercer como Notario en Nuevo Mexico en el momento de la notarización. En el caso de documentos o instrumentos registrados o asentados por dependencias gubernamentales, certificados por las mismas, con la apostilla se verifica que la persona que expidió el documento es o era funcionario electo o designado en Nuevo Mexico, facultado para expedir la certificación. Como ejemplo de documentos públicos se pueden mencionar: actas de nacimiento, de defuncion, de matrimonio, sentencias de divorcio y certificados o registros escolares. An apostille is a form of authentication established at the 1961 Hague Convention Abolishing the Requirement of Legalization for Foreign Public Documents, to which the United States is a subscriber. 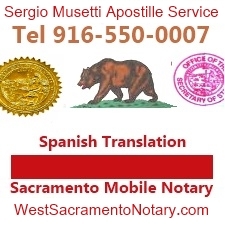 An apostille is used to authenticate public documents, certifying the authenticity of the issuing official’s or notary public’s signature on the document, the capacity in which the person has acted, and identifies the seal/stamp which the document bears. Apostilles are used as transmittal on documents executed in one subscribing country that are being sent to another subscribing country. The first question to you and your employer is whether you actually need an Apostille or perhaps just a certificate of your diploma, also something we can obtain from the state of New Hampshire. Each country is different and many are accepting an Apostille on the transcript since that is the true document that states you've been graduated, although the perception is that it is the diploma. If in fact you need to have an Apostille on the diploma, the original must be presented and a copy will be notarized. How do I pronounce APOSTILLE? Apostille is a French word that means a certification. It is commonly used in English to refer to the certification of a document for international use under the terms of the 1961 Hague Convention Abolishing the Requirement of Legalisation for Foreign Public Documents. Documents that have been notarised by a Notary Public, and certain others, and then certified with a conformant apostille are accepted for legal use in all the nations that have signed the Hague Convention. Common mis-spellings are apostile, appostile, appostille. The law in most countries requires that a signature on a document be witnessed or other procedures applied before the document can be used for legal purposes or in a court of law. Solicitors, justices of the peace, and notaries public normally perform these functions in Australia, but the Department of Foreign Affairs and Trade (DFAT) may also be authorised to do so. DFAT provides notarial services, or the legalisation of documents, to Australians, or people planning to use documents in Australia, through its State/Territory offices in Australia and its diplomatic missions overseas. Within Australia, most notarial services (including witnessing and certifying of documents) are provided by notaries public. 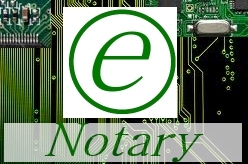 Locations and contact details for notaries public in Australia are available from the Law Society of each State or Territory or from the Notary Locator website. These services are only for Australians or for cases where the documents are Australian in origin or for use in, or requested by, Australia. As part of its support role for Australians overseas, DFAT provides notarial services at Australian Embassies, High Commissions, Representative Offices and Consulates. Notarial services are not available at Australian Consulates headed by Honorary Consuls. These services are provided for Australians overseas, but services can be provided for others where the documents are required for use in Australia. Overseas authorities will often request that you have your Australian documents (for example a birth certificate) ‘authenticated’ or ‘apostilled’. It is vital that you confirm the exact notarial service requirements before having documents processed at an Australian mission. Unfortunately, clients have often requested incorrect, unnecessary or additional notarial services from Australian embassies overseas because they did not fully understand the requirements of the notarial service required. One of the notarial services we provide is an Authentication, which is when we verify a signature, stamp or seal on certain types of Australian documents. Once verified, we stamp and sign the document confirming that we have verified the signature or seal on the document. If you do business or just conduct live in Mexico for a long enough time you will run into some government office or even private organization that asks you for a copy of your birth certificate which has been “Apostillado”. The “Apostille” is a popular topic on many living in Mexico forums, so I thought that I would look into it and explain it the best I can. Official documents are usually valid only in the country in which they were issued, because other countries don´t have any reliable way of verifying that the issuing authority is legitimate. The major exception to this rule is the passport, which is issued following international guidelines and is therefore recognized internationally. In order to facilitate international interaction, the Hague Convention on International Law in 1961 created a system which allows countries to authenticate a document for use on foreign soil. It is the “Apostille”, which comes from the French word for note, and it is nothing more than an added note to your official document certifying the authenticity of the issuing authority. It is important to consider that the apostille doesn´t actually authenticate the document itself, it just authenticates the issuing authority´s stamp, seal, signature, etc. 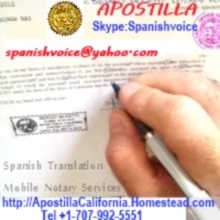 If you are apostilling a birth certificate, the apostille doesn´t authenticate the certificate, it authenticates the Department of Human Record´s seal; if you get college transcripts apostilled, you aren´t authenticating the transcripts, you are authenticating that they were issued by the school; if you apostille a notarized power of attorney, you aren´t authenticating the power of attorney, just the notary´s signature. CHF Calderón & Asociados: a law firm of Mexican lawyers, experts in Real Estate, Corporate, Immigration, Family, Agricultural Law and Intellectual Property.